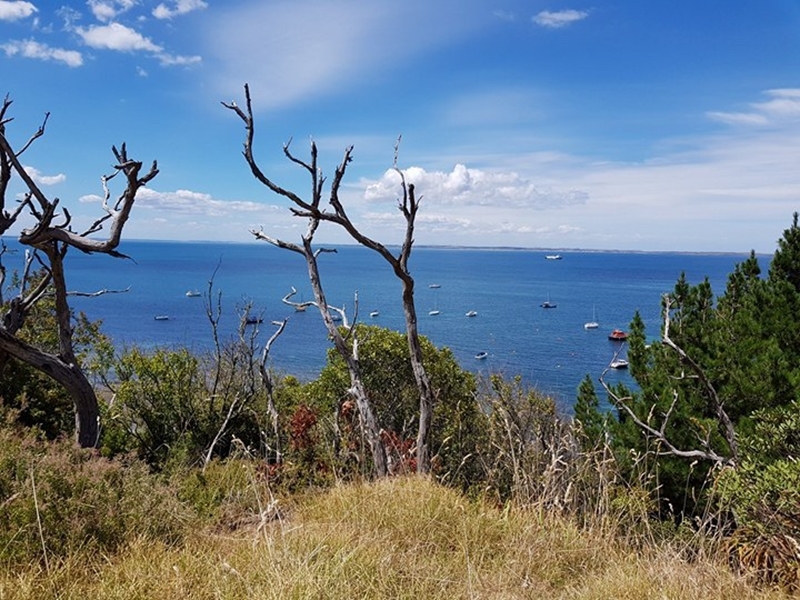 This walk has it all: amazing views, a peaceful and relaxing atmosphere, an interesting recorded history and an expansive leash-free beach all wrapped up in a beautiful country town called Flinders. Immerse yourself in the beautiful country town of Flinders. 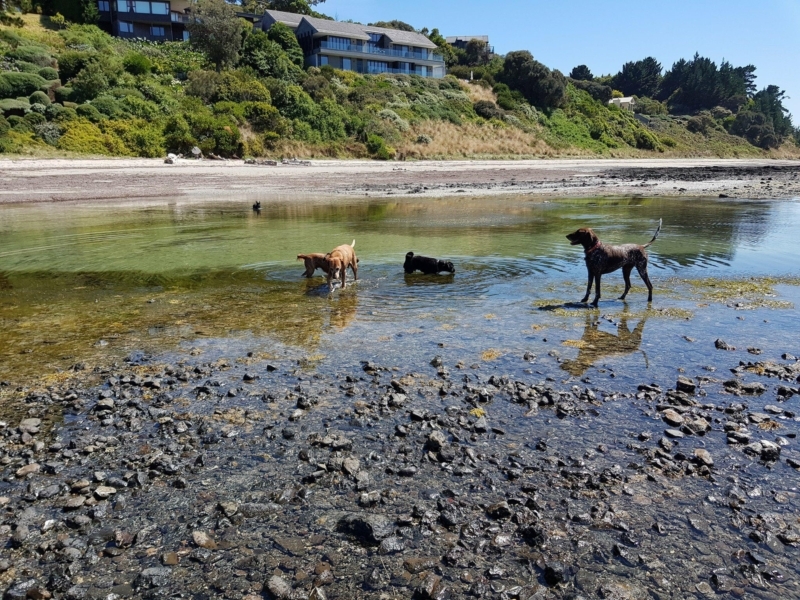 This walk combines gorgeous scenery, a peaceful, relaxing atmosphere and kilometres of leash-free dog beach equipped with vibrant rock pools to bring you what I call my favourite walk. The first part of this walk, the Cable Station Walk, has numerous information boards reporting on Flinders' history as a cable station in 1869. 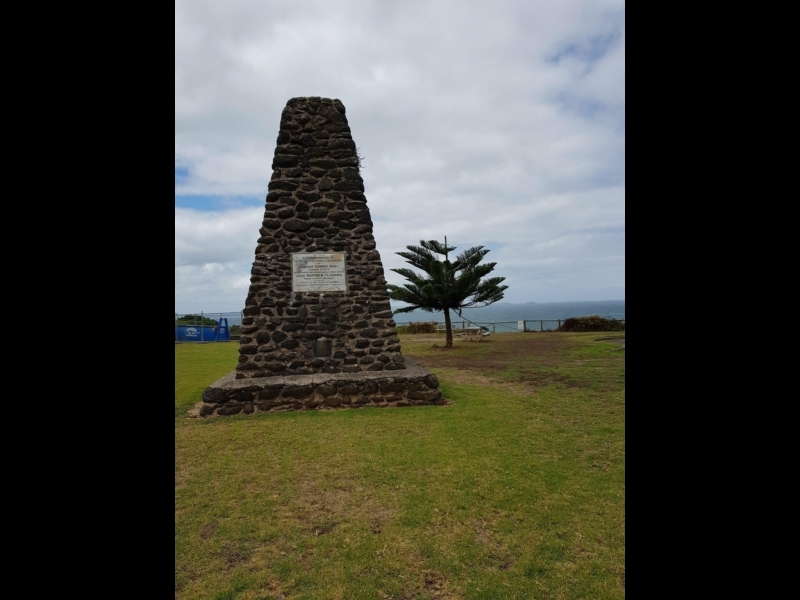 At each site you will learn about Flinders' historical monuments and their role in making Flinders the town it is today. 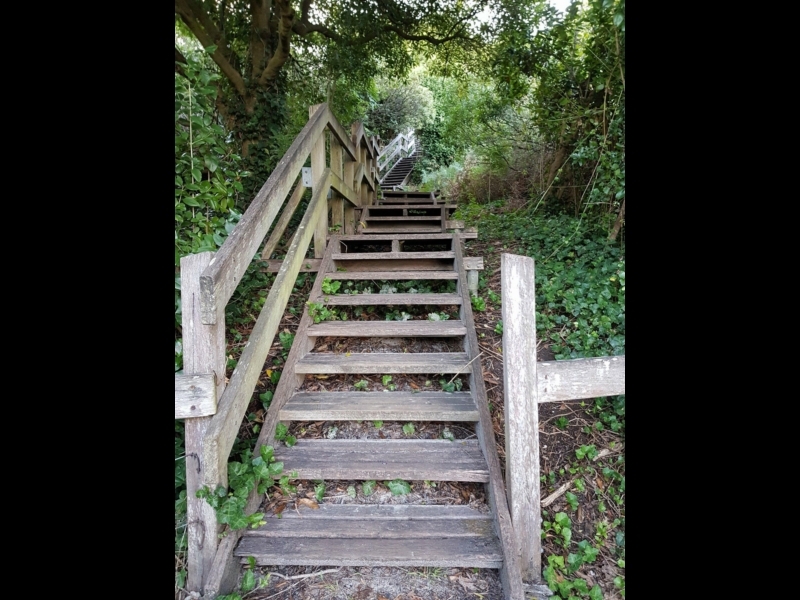 Enjoy climbing up the steps (the only difficult part of this walk!) and you will be greeted with a stunning view over Western Port Bay, making the climb definitely worth it! 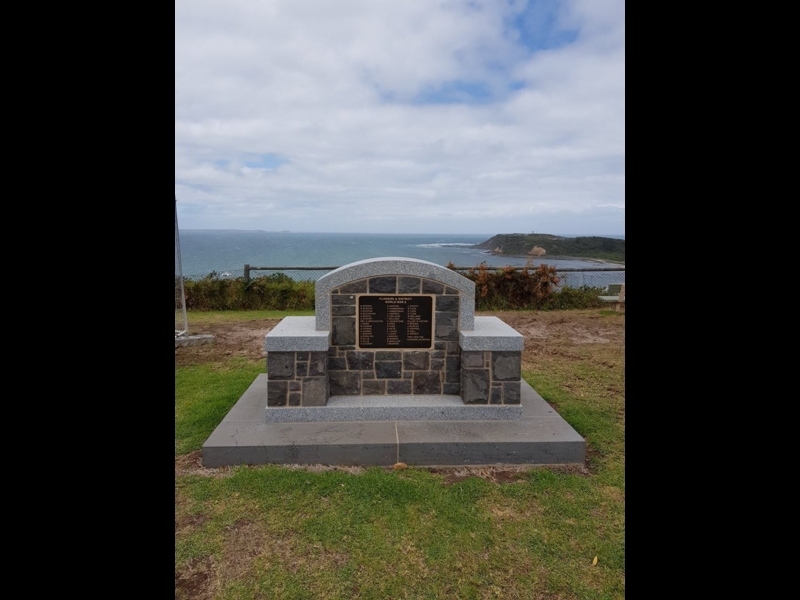 Flinders is a district with a proud war history, displayed through their WW1 and WW2 monuments overlooking the bay. Take a moment to read the names of the brave soldiers who served our beautiful nation and watch out for daredevil hang gliders flying off the site just in front of these monuments. Continue on down the Esplanade whilst admiring the gorgeous views by your side. 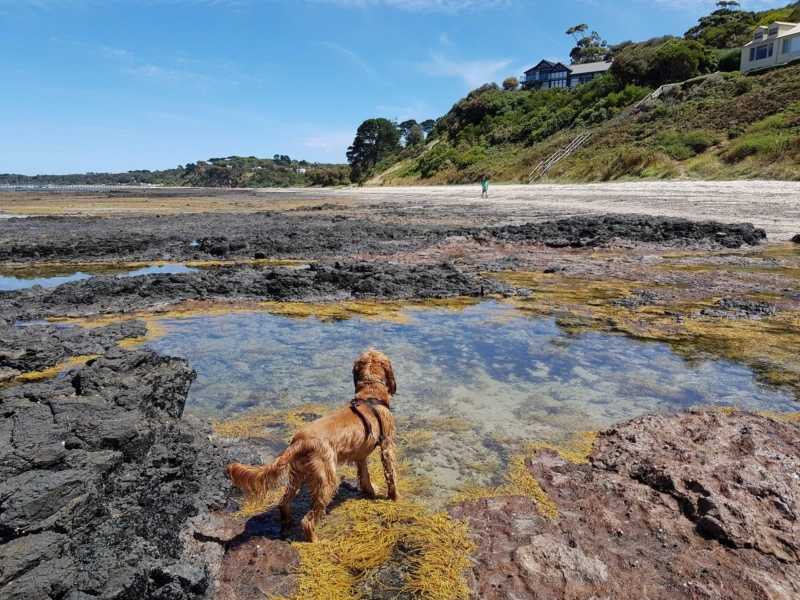 Flinders is a perfect beach for both humans and dogs, with kilometres of leash-free beach open year-round and gorgeous vibrant rock pools to splash in. When the tide is out you may be there for hours (I usually am!) discovering all the hidden gems the rock pools hold, admiring the beautiful houses whose front lawns span out onto the beach as well as watching your dog play around with new friends. Feel free to stroll back along the beach to the Flinders pier (see notes for dog restrictions during day light savings) taking in the picturesque boats bobbing in the water. 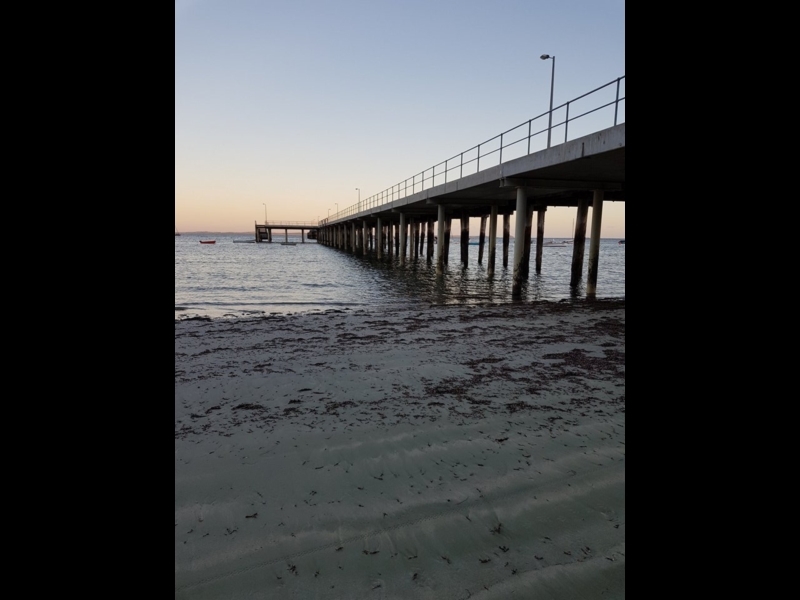 Take a walk down the expansive pier where you will see many people fishing as well as pier jumping during the summer months. 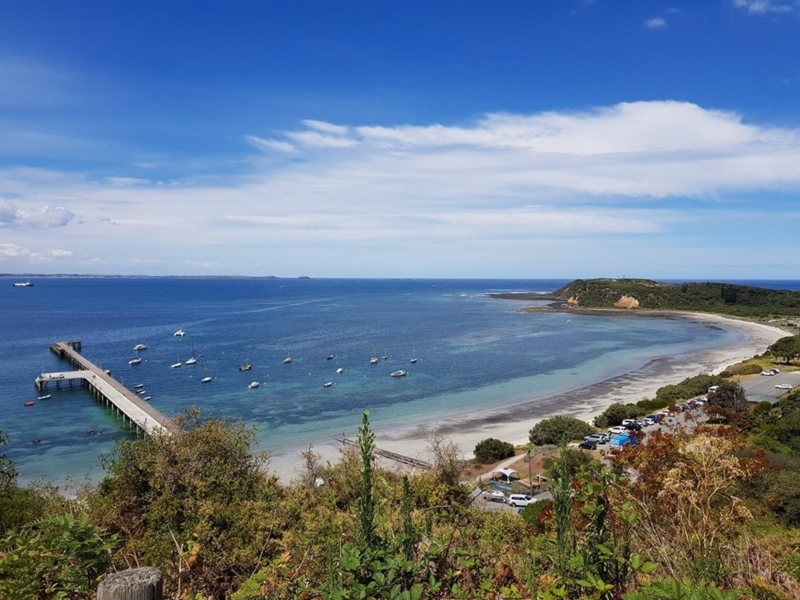 Flinders beach is also very popular with scuba divers due to a wreck located to the right of the end of the pier making it a thriving metropolis for weedy sea dragons, fish, octopus and crayfish. 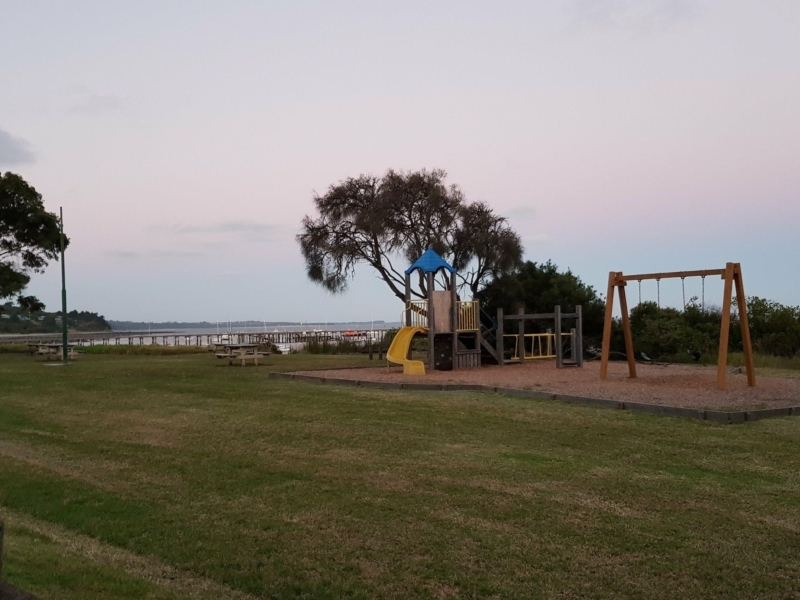 Don’t forget to take advantage of the playground and BBQ area located at the end of the car park. -If you want to enjoy the rock pools it is best to first check that the tides are out to avoid disappointment. -The dog beach is leash-free at all times, year-round and is clearly signposted. -Dogs are not permitted on the rest of the beach between 9am-7pm during daylight savings - but feel free to walk back the way you came (along The Esplanade and down the Cable Station Walk). 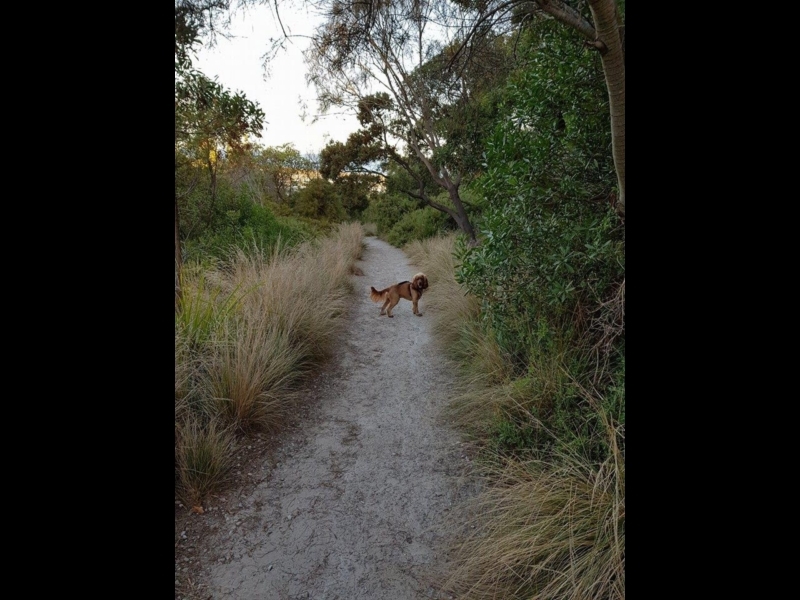 -During daylight savings dogs are permitted on the rest of Flinders beach before 9am and after 7pm on-lead. The gravel track down to the leash free dog beach, oh, and my impatiently waiting dog. My dog loves coming here to play in the gorgeous rock pools and make friends! If there is a leash free dog beach better than this one then i'd like to see it! You could spend a whole afternoon here wading in these beautiful rock pools with your furry friends!